There is a lot to discover and experience on a farm. Open the stalls and let the cows out into the pasture or ride with your horse to the fields. The hay is coming soon for the hayloft. It's a good thing that you have a rope winch and that the train stops right by you. 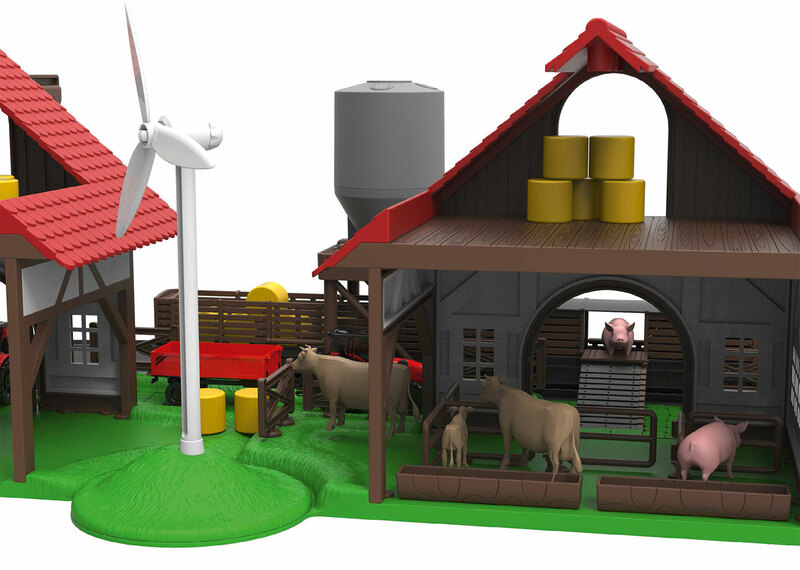 Farm kit for children, with four different ways to set it up. 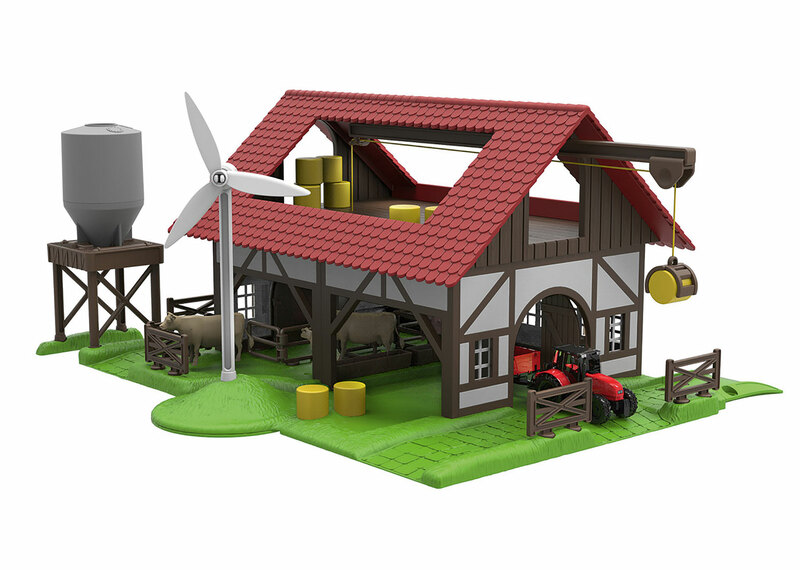 This is a sturdy kit with a few parts that snap together. 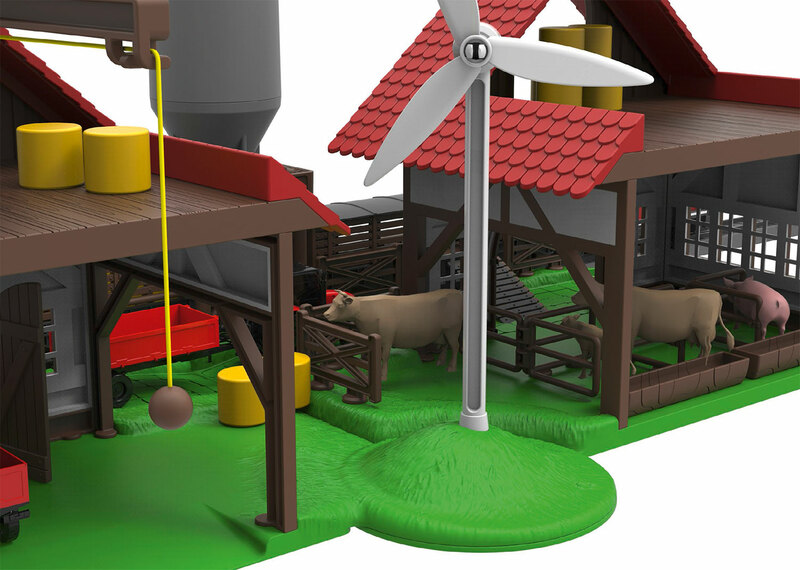 The farm has animal figures, stalls, bales of hay, and a feed silo. The bales of hay can be loaded with a hoist. The kit comes unassembled. Dimensions: 45 cm long x 38 cm wide x 22 cm high. 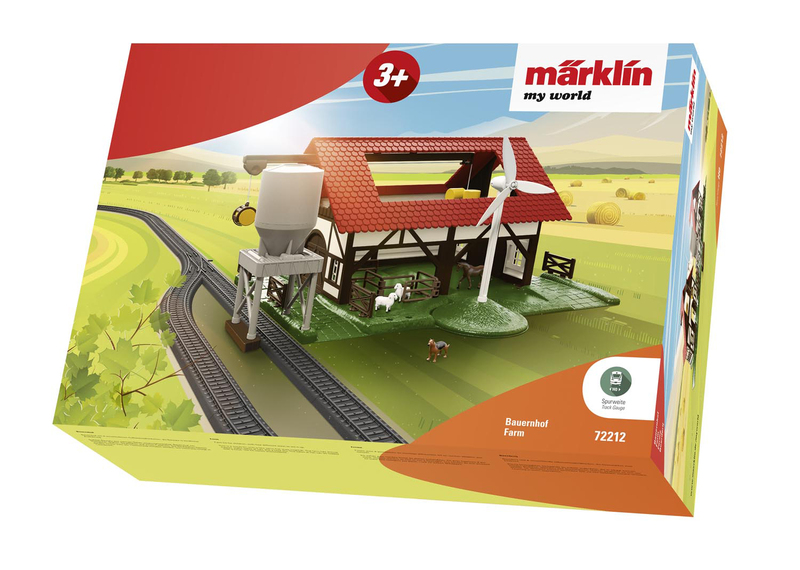 This farm is the ideal add-on for the 29308 Farming Starter Set.